Thank you so much to everyone who attended our International Justice Mission UK Gala Dinner, 2019. We are so encouraged by the passion and generosity of all our supporters. This year, our Gala Dinner raised over £105,000, the equivalent of 21 rescue operations. We hope that you enjoyed celebrating the courage of all those who have been or are currently waiting to be set free, as well as those working to secure their freedom. 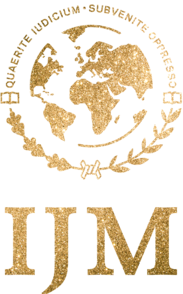 Be sure to WATCH THIS SPACE for IJM UK's 2020 Gala Dinner!